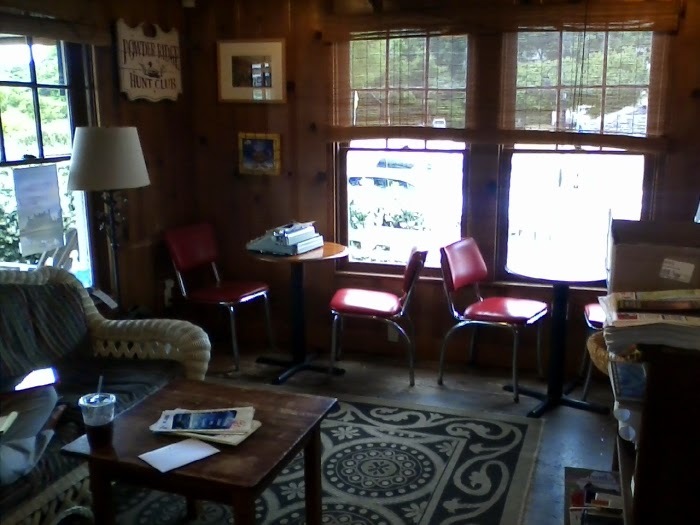 It is a cellphone photo from my flip-phone, so not great, but it gives you an idea of the general awesomeness of the place. Click this link right here to see their page. If you look on their facebook there is a picture of me typing. That looks like a nice place! Duck's Cottage looks like a treat! Hopefully you enjoyed your stay, it's good to have a change of scenery every once in a while. Even if it just means that you love your home even more when returning! Yeah looks like a cool kind of place that I'd also latch on to. Hope you had a good and restful respite. I admit that I've never typed on a 50's Hermes 3000, but a friend has, and I cleaned up for her a 60-70's Hermes 3000. All plastic and supremely mediocre and uninspired. She offered it to me if I found her a 50's Remington Quiet Riter (which is what she had in her youth). Well I did find a Quiet Riter, but I don't want to give it to her because I don't even want the Hermes. So, I agree, the Royal QDL, Arrow, even Keystone and Companions are about the best american portables for your $$! Cheers! Great video. I watched it on WDBJs site the link on the blog did not play. 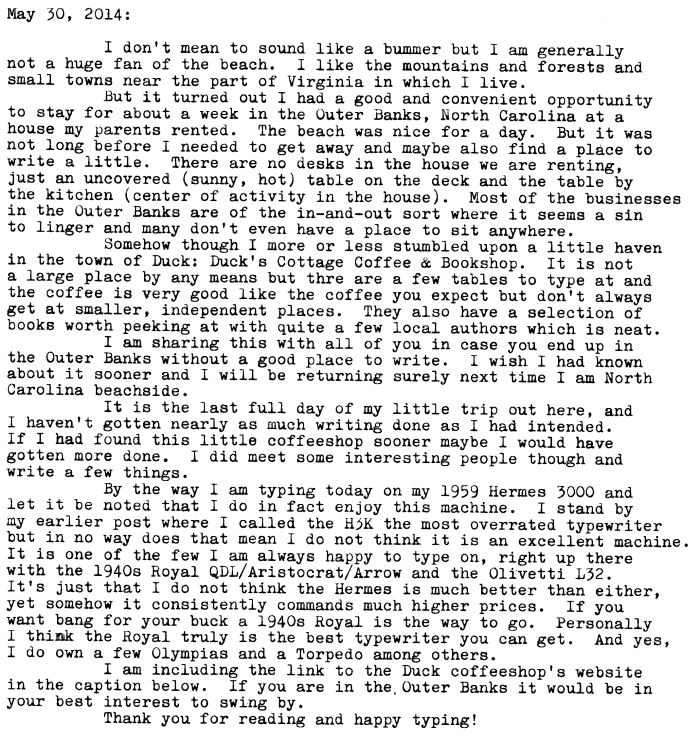 I think I put my Hermes comment on your older post from the Outer Banks. I chose a Baby for size to take on my trip. I doubt I will ever take it again. Only a Skyriter; a much better machine. The link seems to be working. I just renamed the link so it will be more clear... the photo was not the link. I have little experience with Skywriters. I usually take an Olivetti on my travels if I need something small. Typewriters (and yours truly) on the Local News!